There were no blowouts, but Democrats managed to run the table for just the fifth time in 75 cycles since statehood, and the third time since the early 1890s. Although Wisconsin Democrats failed to gain any traction in the state’s legislative and congressional races in 2018, the party nonetheless pulled off a clean sweep of all statewide races, including every partisan constitutional office. At the top of the ticket, Tony Evers and Mandela Barnes unseated Scott Walker and Rebecca Kleefisch for governor and lieutenant governor by 1.2 points in dramatic fashion as 47,000 absentee ballots from Milwaukee County were counted in the wee hours of Election Night. That flood of ballots also propelled Democratic nominee Josh Kaul across the finish line with a 0.7-point victory against Republican Attorney General Brad Schimel. Meanwhile, long-serving Democratic Secretary of State Doug La Follette and treasurer-elect Sarah Godlewski had a little more cushion in dispatching their GOP opponents by 5.6 and 4.2 points respectively. The net result is that Wisconsin Democrats swept the state’s constitutional offices at the ballot box for just the fifth time since statehood – and only the third time in more than 125 years. It took more than 40 years after statehood in 1848 for Democrats to first run the table in statewide races. While Democrats largely controlled state government during the first few election cycles in Wisconsin history, they were not technically able to sweep all constitutional offices. Until the early 1900s, the state superintendent (Evers’ outgoing position) was a partisan office. The winner of the first two such elections after statehood – in 1848 and 1849 – was former Whig Eleazer Root who ran as an independent (backed by both the Whig and Democratic tickets) and defeated Free Soil nominees. Shortly after the party organized in the mid-1850s, Republicans went on to sweep all constitutional offices during the elections of 1859, 1861, 1863, 1865, 1867, 1869, 1871, 1881, 1884, 1886, and 1888. But during the 1890 midterms, Democrats rode a national wave and finally broke through with the ticket of George Peck (governor), Charles Jonas (lieutenant governor), Thomas Cunningham (secretary of state), John Hunner (treasurer), J.L. O’Connor (attorney general), Oliver Wells (state superintendent), Thomas Thompson (railroad commissioner), and Wilbur Root (insurance commissioner) – victorious in all eight contests. In 1892, with Grover Cleveland carrying Wisconsin en route to his second interrupted term in the White House, each of the eight aforementioned incumbents were reelected to give Democrats a back-to-back cycle sweep. However, Democratic control of the state would be short-lived. Over the next 39 election cycles through 1970, Democrats lost at least one – and usually the vast majority – of the constitutional offices on the ballot. [Direct elections for railroad commissioner and insurance commissioner ceased in the early 1900s]. In the meantime, Republican nominees were undefeated during 27 of these 39 cycles: from 1894 through 1930, 1938, 1940, 1944, 1946, 1950, 1952, 1954, and 1956. The Progressive ticket also swept the constitutional offices once in party history – in 1936. After Watergate, however, Democrats enjoyed their best cycle in more than 80 years during the 1974 midterms. Governor Patrick Lucey won reelection with running mate Martin Schreiber, Doug La Follette and Bronson La Follette flipped open seats for secretary of state and attorney general respectively, and Treasurer Charles Smith was reelected to the second of five terms. Each nominee was victorious by double-digits. The Democratic gubernatorial ticket of Governor Schreiber (who succeeded Lucey after he became U.S. Ambassador to Mexico in 1977) and Doug La Follette came up 9.5 points short in 1978 but the party easily swept the statewide offices during the 1982 midterms with Tony Earl and James Flynn for governor/lieutenant governor, Doug La Follette for a second, interrupted term as secretary of state, Bronson La Follette for his third and final term as attorney general, and Smith for his fourth term as treasurer. Democrats again won each of these offices by double-digits with the GOP failing to field a candidate against Smith. Overall, Democrats have swept the state’s constitutional offices in five of 75 cycles since statehood with Republicans doing so 37 times – but not once since 1956. 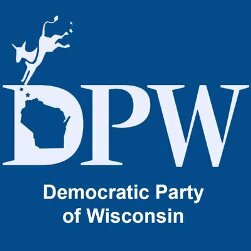 1 Comment on "Wisconsin Democrats Land Rare Sweep of Constitutional Offices in 2018"
1. It will be most interesting to see if the Rs would contest the post of Treasurer – at least in 2022 when it next comes up – after being on record wishing to eliminate it. 2. “…failed to gain any traction…congressional races in 2018…” True, “IronStache” did fail to flip the “Kenosha, Racine, and Southeast” seat for his fellow Ds, but the party did succeed in keeping the senate seat, with Tammy Baldwin winning by 10 or 11 ppm. Were I a D party functionary or contributor, I would be mighty glad that it prevailed in both the “Class 1” seat, and the “La Crosse, Eau Claire, & the Driftless Area” constituency (not exactly a D backwater) won biennially since 1996 with Ron Kind.